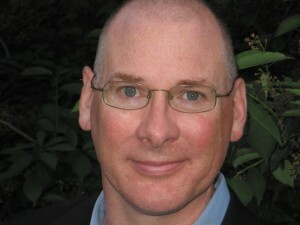 Steven Wingate is a multi-genre author whose work ranges from poetry to gaming. 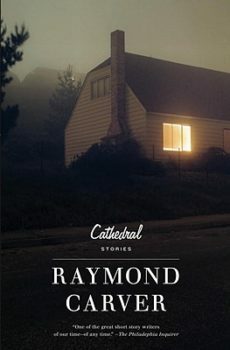 His books include the short story collection Wifeshopping (Mariner, 2008) and the novel Of Fathers and Fire (University of Nebraska Press, 2019). His digital works include the memoir daddylabyrinth and the interactive romance novel Love at Elevation from Choice of Games. He has taught at the University of Colorado, the College of the Holy Cross, and South Dakota State University, where he is currently associate professor of English. “From the novel’s outset, Indian Horse announces itself as the story of a generation, not merely of a single individual’s life”: Steven Wingate on Richard Wagamese’s final novel. “I suppose if flash fiction were a running form, it would be a sprint. One that requires a lot of thinking and training and art to have a good, solid race”: Kim Chinquee with Steve Wingate on her new collection of flash fiction, Veer, out this spring from Ravenna Press. “I tell my students to focus on developing aspects of their characters that they don’t share”: Neil Connelly talks with Steven Wingate about presses tiny and huge, teaching in MFA programs, and his new collection, In the Wake of Our Vows. Steven Wingate talks with Georgi Gospodinov about his new novel, The Physics of Sorrow, translated from the Bulgarian by Angela Rodel and published by Open Letter Books earlier this year. Ever wonder what it’s like to keep your writerly identity while collaborating on novels with incredibly famous people? Maya Sloan can tell you. 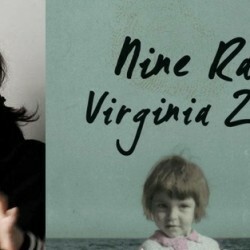 “Writing is nothing but entering the memories of the body”: Bulgarian writer Viriginia Zaharieva talks with Steven Wingate about her novel Nine Rabbits. “I wanted the reader to feel wounded that these souls had been taken from us,” Patrick Hicks says of the minor characters in his new novel, The Commandant of Lubizec. Steve Wingate urges fiction writers to write prose poetry, in an attempt to return to the proto-writer inside—that self that loves words simply for the sake of language itself. Albena Stambolova’s short, fable-like novel Everything Happens As It Does brings a whole new sensibility to the body of English translations from her native Bulgaria’s contemporary literature.